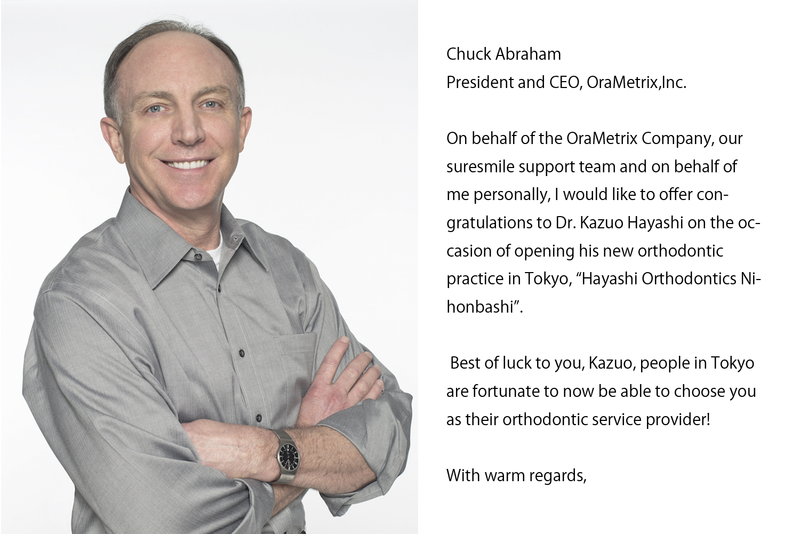 On behalf of the OraMetrix Company, our suresmile support team and on behalf of me personally, I would like to offer congratulations to Dr. Kazuo Hayashi on the occasion of opening his new orthodontic practice in Tokyo, “Hayashi Orthodontics Nihonbashi”. Our product suresmile has been used by leading orthodontists to offer superior care to patients in North America, Europe and Australia for many years. 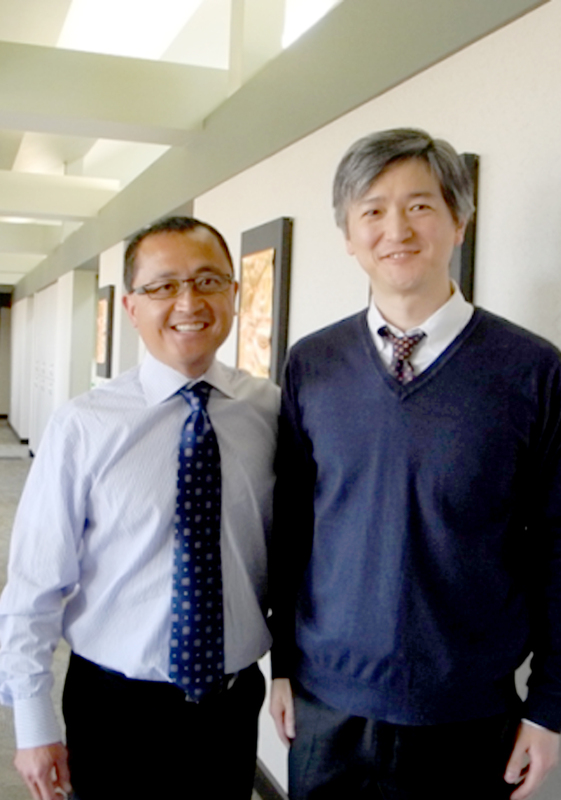 In 2011, we were very fortunate to meet Dr. Hayashi and he helped us introduce suresmile technology into Japan. While still working with the university, he developed his expertise with the technology while delivering demonstrably superior care to over 200 patients. Furthermore, he has assisted our company and the orthodontic community at large by publishing several outstanding research papers and presenting his case results at major conferences around the world. 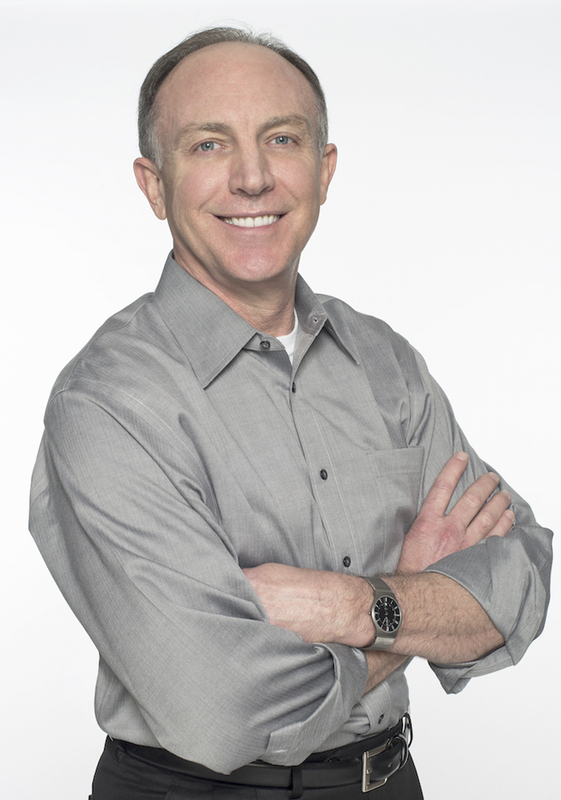 His expertise extends into the most advanced of orthodontic cases including lingual and surgical treatment. 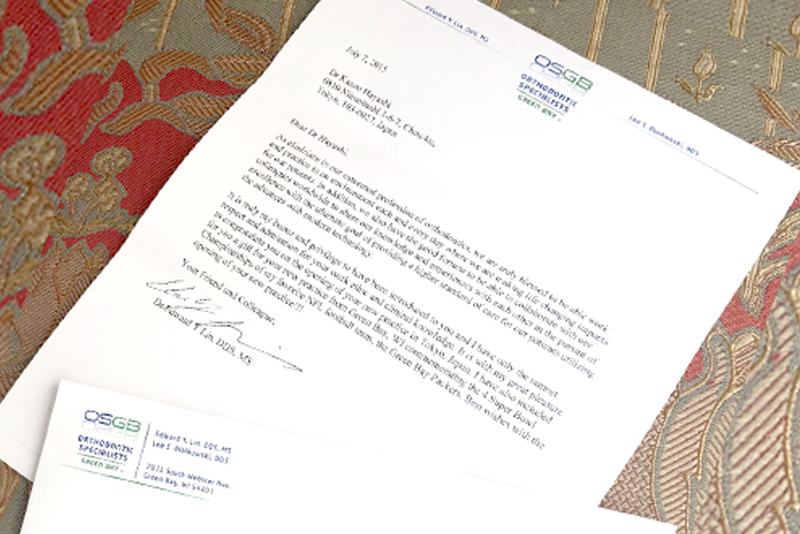 Best of luck to you, Kazuo, people in Tokyo are fortunate to now be able to choose you as their orthodontic service provider! 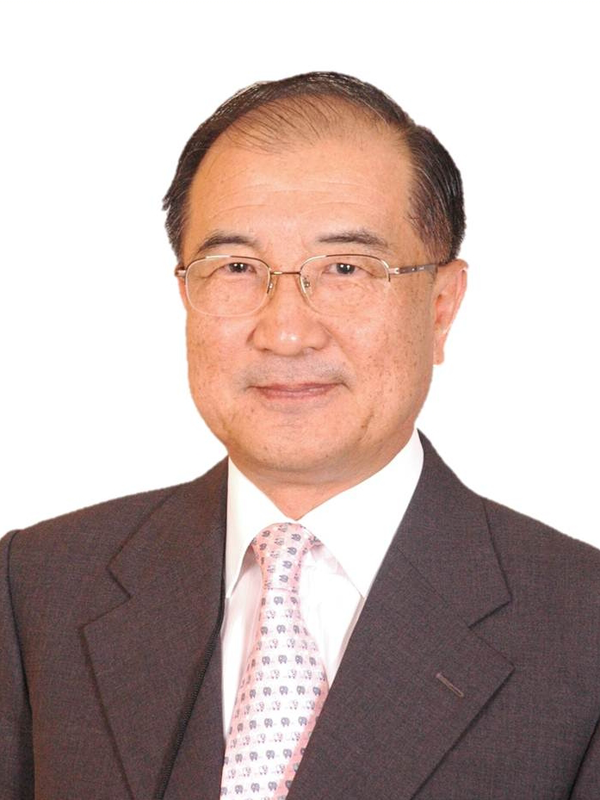 Dr. Jae Hyun, Sung DDS, MSD, PhD. How delighted I am to know that you have your own practice in August in Tokyo! With your sincere efforts, this promotion is no surprise. 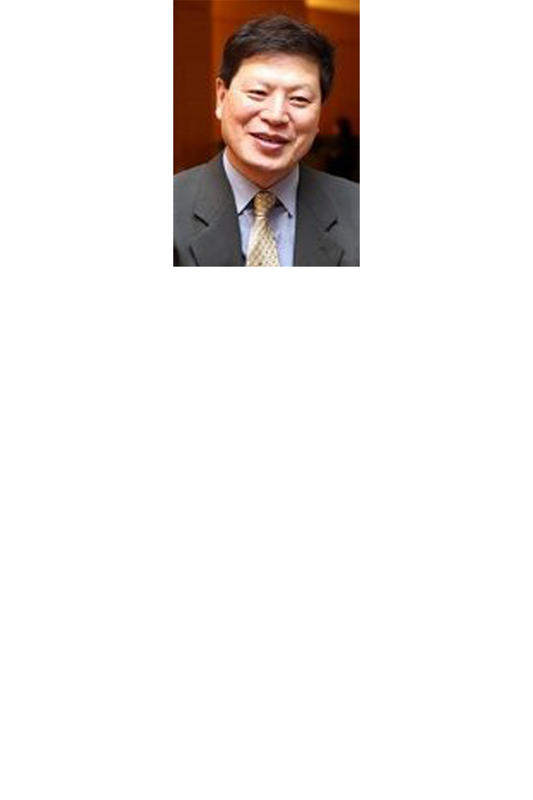 Your smartness and hard work made your achievement as the great professor in university. Now, you took the new challenge to set new goals. Congratulations on your new start and cheers for your own practice! Starting up to build a new practice is really uneasy task but, because of your self-discipline and self-dedication in years of your effort in Orthodontics, you have now successfully opened a new office for more success. Your new Orthodontic office must be a wonderful place to work on for all patients who visit you. I wish for never ending success as you start running your business in your new office. Of course, I believe in your talent and intelligence about Orthodontics that you will be able to make your start shining in its brightest spark. I am so happy to hear a super good news from you. Congratulations on new start in your great orthodontic office in Tokyo! If Olympic medals were won by good orthodontist, your Gold is overdue! All the members of KORI including me were so happy to work with you while we organized many symposiums and worked together in Korea. We really appreciate your energy, passion and effort for us. Enjoy your new challenging chapter of your job as an Orthodontist. You will get success with the same energy and effort in your practice. I believe and guarantee in 100 % that you try to do your best for your patients and orthodontics as you have shown a wonderful achievement in Digital Orthodontics, already. Yes, you will always make your patients be happy and get lots of fortune, name and fame. I am sure that starting a new practice is like writing a new chapter in the book of your life which will make it a bestseller. 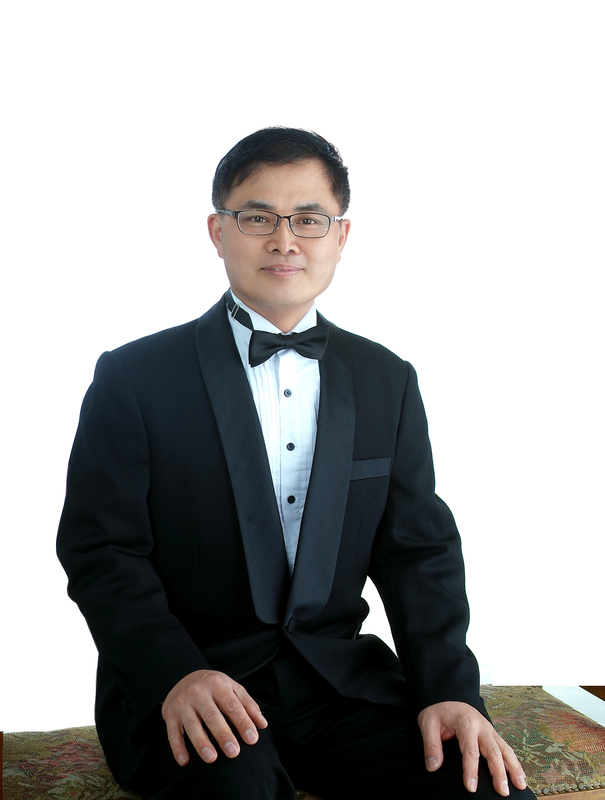 And, I am very looking forward to keep sharing our philosophy and thoughts together. Congratulations on opening your own practice in Tokyo. My warmest greeting of ongratulations and I wish that as you start your business in your new office, only best luck and success will fill in your new place of work. Hayashi’s Orthodontic practice in Nihonbashi is sure to be a success with your down to Earth manner, and sharp skills. “Hayashi’s Orthodontic office in Nihonbashi” is a proof that you are ready now to take the next steps of your ladder in success. I know that you can really make it on top as the best doctor. And, I am sure that you become even more well-known for your abilities to your patients and society. If there is anything at all I can do to help you, please let me know. I’d be glad to assist you always if I can be of help. Congratulations on moving on to your next challenge. Let’s keep close relationship with you as a friend and colleague. Congratulations on starting your own practice again! 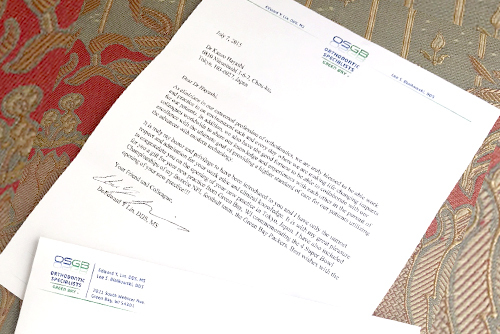 As clinicians in our esteemed profession of orthodontics, we are truly blessed to be able work and practice in an environment each and every day where we are making life changing impacts for our patients. In addition, we also have the good fortune to be able to collaborate with our colleagues worldwide to share our knowledge and experiences with each other in the pursuit of excellence with the ultimate goal of providing a higher standard of care for our patients utilizing the advances with modern technology. It is truly my honor and privilege to have been introduced to you and I have only the utmost respect and admiration for your work ethic and clinical knowledge. It is with my great pleasure to congratulate you on the opening of your new practice in Tokyo, Japan. I have also included for you a gift for your new practice fron Green Bay, WI commemorating the 4 Super Bowl Championships of my favorite NFL football team, the Green Bay Packers. Best wishes with the opening of your new practice!! !